You see, one of my goals here at Wild Foodism is to deepen your connection to nature by helping you identify the wild species within your ecosystem. 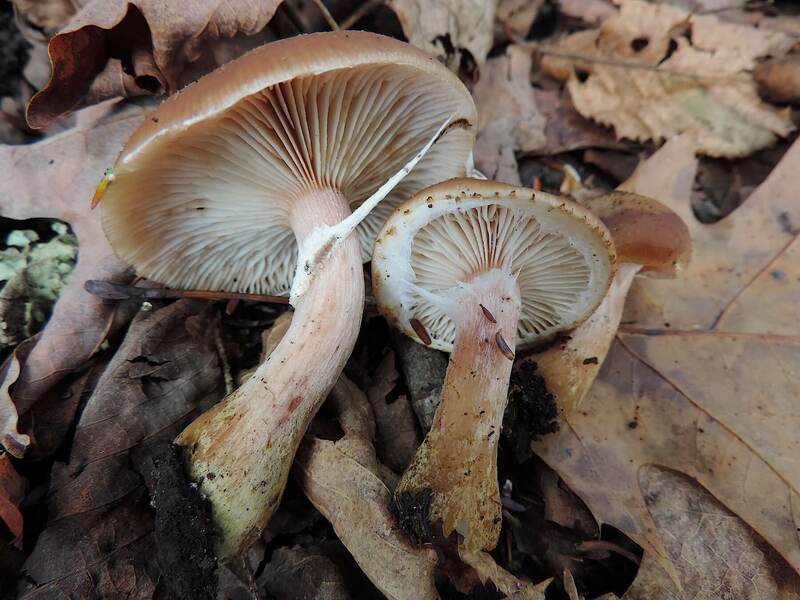 Specifically in this post, I’d like to help you distinguish between two common mushrooms found throughout North America. Is the deadly Galerina ever yellow with white gills ?? When discussing 2 mushroom varieties, Always have a picture of both for the article with a clear description of differences, with a big red ‘X’ on the one that is deadly. There is a natural tendancy for us “foragers” to get cocky with our knowledge. In fact most of us get asked, gee how’d you get so smart about mushrooms(but can’t balance your bank account)? As with many of these helpful earthy, organic sites…there is a natural aversion to telling anyone anything definitively… But out of love for my neighbor, and not wanting him/her to die, let’s commit to some Illustrative Standard….for mushrooms so people know in an instant…” Heay ! that’s poisonous!” Mark the bad ones only. So simple, right? But no-one is doing that. Why this standard has never been established by rangers, illustrators, FDA is a mystery. This then leaves us able to have wonderful discussions about mushrooms you can pick up and eat, and mushrooms that Require the extra step of cooking, even information for our edibles covering topics like mushrooms and what you can’t drink with some of them(Wine). This is especially important when a site or book is covering mushroom topics of similar looking species(but 1 of em is deadly). I would highly recommend to any hunter, stay away from anything edible, that can easily be mistaken for something that is deadly. This doesn’t help out much without a clear explanation on which is which?